A special church remembrance ceremony was held in Aberdeen yesterday for families affected by the baby ashes scandal. The event was open to anyone touched by the tragedy in the city, where babies and foetuses were cremated alongside adults for years. 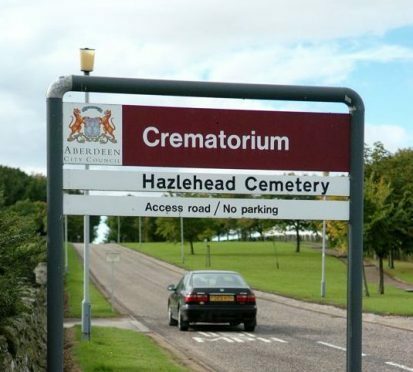 A report branded the practice “unethical and abhorrent” and called the actions of staff at Hazlehead Crematorium “deeply disturbing”. The Aberdeen probe followed revelations about Mortonhall Crematorium in Edinburgh, where staff secretly buried the ashes of babies for decades. Yesterday’s non-denominational service was held at the Kirk of St Nicholas and led by Aberdeen Churches Together. The Rev Hugh Wallace said: “The recent baby ashes sadness has affected many people who used the services of Aberdeen Crematorium over the years, and we feel a church service may be of help and bring some comfort for the families of those affected.